Ford Performance has finally unveiled the all-new Ford Focus ST. Although it does not feature a lot of exterior and interior changes, the hatch is pumped up on the inside. Under the hood sit’s as much as 276 horsepower and 310 pound-feet of torque just waiting to be unleashed. 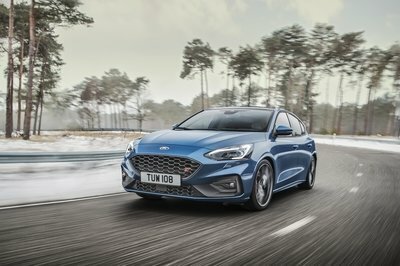 On paper, the 2020 Ford Focus ST seems very promising. Does it have enough to take on the Volkswagen Golf GTI/GTD?